Smart wearable devices work like smartphones and tablets. Some of the key benefits these devices offer to the end-users include messaging and calling services, real-time fitness monitoring, and monitoring of heart rate. In addition, they provide sleep statistics, calorie intake, exercise patterns, and information pertaining to the daily activities of users. In developed regions, including North America and Western Europe, the demand for and shipment of smart wearable devices (smartwatches, wearable bands, and wristbands) has increased in recent years. The decline in the cost of these products is a major driving force behind the adoption of wearable devices. Many organizations have launched programs encouraging their employees to use wearable devices to track their health and fitness: also, the global medical wearable devices market is projected to reach $4,5 billion by 2020, driven by the growing need for effective management of chronic diseases, rising healthcare awareness and launch of innovative health management devices. Wearable medical devices are defined as devices with sensors attached to the body that detect and monitor changes in body signs of various areas and organs. The growth of the global wearable device is driven by several factors, the most important being the technological innovation. At present, the potential socio-economic benefits of wearable devices are large for multiple sectors. For instance, with fitness wearable devices driving the users to exercise, wearable technology can significantly reduce healthcare costs. Investors have started investing in projects ranging from apps to various sensors. 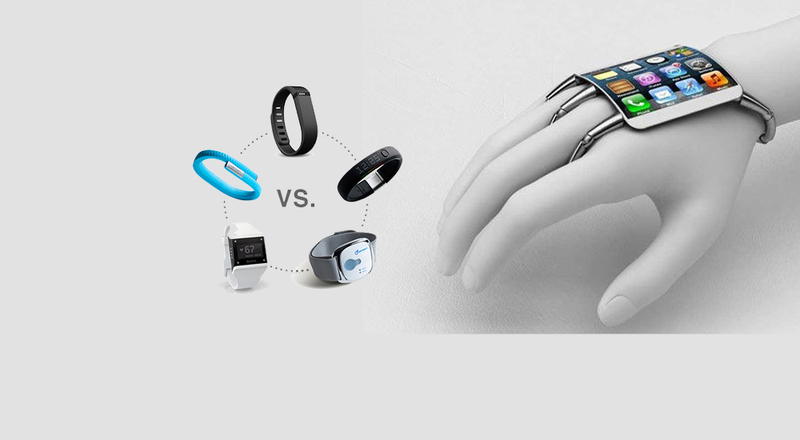 The manufacturers are incorporating advanced sensors and as the size and cost of these sensors decrease, they are incorporated more and more, expanding the range of wearable devices.